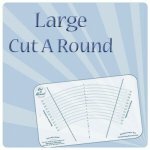 Cut A Round Tools, Patterns & Books > Cut A Round Large 18" - 30"
Cut A Round Large 18" - 30"
Cut perfect circles with ease. A simple slice of a folded eighth and viola! You have a perfect circle. 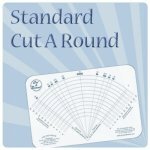 Use a 45 mm rotary cutter. 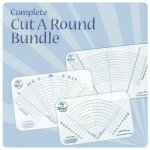 Instructions for cutting and framing circles are included with each tool. 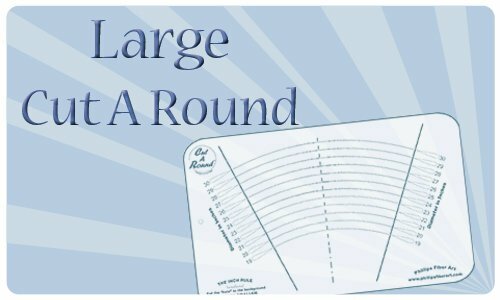 Circles sizes: 18" to 30" Click here to see a video demo using a similar tool! International shipping is difficult to calculate on this tool. Please know we may have to adjust during processing. We will let you know if we have to charge your card more! Larger Circles or even just a larger arch for clever designs! 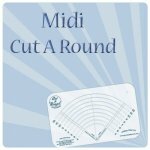 Cut A Round Tool Midi 4" - 12"
Standard Cut A Round Tool 6" - 17"